I teach English Language and German at the University of Brighton and, as such, have many academic publications to my name. My first children’s book, Sandies in the Beach Huts aimed at 5 to 10-year olds, was published in 2008. This was followed by two further books in the same series, Hello again sandies!! (2009) and Watch out for the sandies (2011), all set around the seaside environment and local beach huts. My fourth children’s book for this age group, again illustrated by Emma Ball and published by Pomegranate Press, sees the start of a new series set around the edge of some oldl fishponds called The Woodies by the Ponds (see also www.pondlifebooks.co.uk). This new book was launched at RSPB Pagham Harbour Nature Reserve on October 27th 2012. I am a frequent visitor to local primary schools where I tell stories, talk about nature and provide craft events. My craft events can also be held in French and German. You can contact me for further details on: c.watts@brighton.ac.uk. The list of events below give a flavour of the types of activities I have been involved in since 2010. May Workshop entitled Getting inspired to write: looking outside delivered at Chichester Copywriter’s Writers’ Retreat at Cobnor Point, West Sussex. May/June Seaside stories, craft event and visit to my beach hut (!) with Cottesmore St Mary’s Primary School, Hove, East Sussex. May Making décopatch dragonflies with stories at Steyning Bookshop for the Steyning Country Fair. July Stories and finger puppets at Cottesmore St Mary’s Primary School’s summer fair in Hove, East Sussex. July RSPB Pulborough Brooks Family Fun Day event (Wonderful Watery Wildlife) with stories and dragonfly-making. August 3 separate events at RSPB Pulborough Brooks to celebrate the 20th anniversary and also their Ugly Bug Ball family event with stories and dragonfly-making. 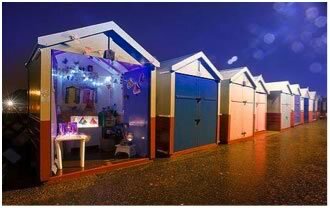 December Open Beach Hut event as part of Hove's Beach Hut advent calendar. December Launch of Jumpstart! French and German and Jumpstart! Spanish and Italian aimed at primary-school teachers of modern languages published by Routledge Publishers. May and July Creative writing events x 2 for Gifted & Talented students at RSPB Pagham Harbour, West Sussex. April, May and June Readings, creative writing and beach hut visit (3 events) with St Andrew's C of E Primary School, Steyning, West Sussex. May Chelsea Flower Show with Scotts of Thrapston. June Creative writing day for adults at RSPB Pagham Harbour, West Sussex as part of the Chichester festival of Arts. July Full-page article in the national Good Homes magazine featuring The Woodies by the Ponds (launched in October). 2. Living Languages: an integrated approach to teaching foreign languages in secondary schools. September Seaside stories at Cottesmore St Mary's Primary School, Hove, East Sussex. September Seaside readings and beach hut visit with St Peter's Infant School, Portslade, East Sussex. October Winner of Michelham Priory's short story competition with The Garden. My son Alex won joint first place in the children's category with Guardian. January & March Creative writing events at Pagham Harbour Education Centre, West Sussex. March visit with readings and creative writings to Joelsfield Primary School, Partridge Green, West Sussex as part of the Chanctonbury Schools writers' week. March visit with readings and creative writings to Upper Beeding Primary School, Upper Beeding, West Sussex as part of the Chanctonbury Schools writers' week. March return visit with readings and creative writings to Upper Beeding Primary School, Upper Beeding, West Sussex as part of the Chanctonbury Schools writers' week. May Invited participant (craft workshops and readings) at The Lincoln Book Festival, Lincolnshire. May Runner-up in the Creative Writing Olympics Anthology short-story competition, Universities of Brighton and Sussex. Story entitled No Boundaries. June Readings, creative writing and beach hut visit (3 events) with St Andrew's C of E Primary School, Steyning, West Sussex. June launch of Watch out for the sandies at The Book Nook, First Avenue, Hove. July Participant at The Coastal Heritage Day in Portsmouth, Hampshire with Emma Ball. August Short story. Adam and the Embryo. published by the The Shark Trust. August Author event at Steyning Bookshop, West Sussex (crafts and readings). September Participant at The Bathing Beauties Festival in Mablethorpe and Sutton-on-sea, Lincolnshire with readings and seaside crafts. September Craft session (winter beach huts) and readings (2 events) at Cottesmore St Mary's Primary School, Hove, East Sussex. September Short story. Treasure Trove. published by TL Risk solutions. October Readings and beach hut crafts at St. Joseph's Primary School, East Sussex. February Jubilee Library in Brighton, writers' event for Queenspark Books. March World Book Day celebration at Kingsham County Primary School, Chichester. March Workshop/readings with children at West Hove Junior School as part of their Author Week. 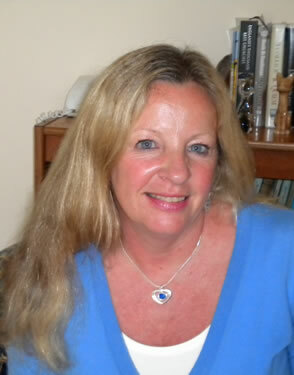 March Workshops/readings (2 events) with children at Hove Library and The Book Nook as part of Hove's Aqua Festival. June Story readings/seaside discussions with Years 1 & 2 at Mileoak Primary School, East Sussex. June Story readings/seaside discussions with Year 3, St Christopher's School, Hove, East Sussex. August Workshop/readings as part of the National Marine Week Festival organised by West Sussex County Council at Pagham Harbour, West Sussex. October Story telling at Cottesmore St Mary's Primary School, Hove, East Sussex. November Craft session (winter beach huts) at Cottesmore St Mary's Primary School, Hove.